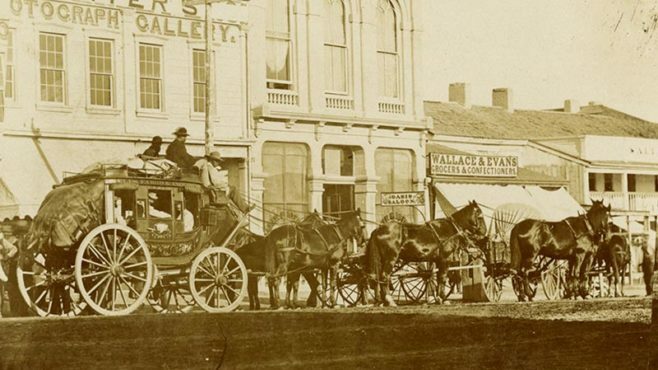 Find out how Wells Fargo’s stagecoaches in 1868 were a “sight never seen before” and how some of those stagecoaches live on today. Wayne’s Mobile Kitchen and Catering and Big LuLu’s Trucking LLC are two of the small businesses helped by Community Development Financial Institutions that receive support from Wells Fargo. The owners of Owen Industries in Carter Lake, Iowa, are using their new warehouse (and innovative machinery) to continue growing the company’s reputation as a steel processor. Wells Fargo Center, at the corner of 13th and O streets in Lincoln, Nebraska, was built by the firm of architect I.M. Pei in 1976. Grants rebuild lives and neighborhoods across U.S. Neighborhoods across the U.S. are being revitalized through work done by housing nonprofits — funded in part by grants from Wells Fargo Housing Foundation’s Priority Markets program. After working with Wells Fargo on its credit card payment processing system, Omaha Steaks finds the business runs more efficiently.